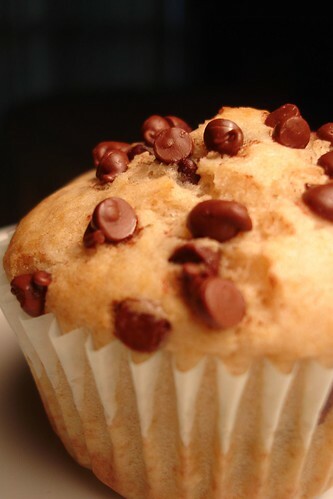 I jumped on the web this morning and found this recipe for Chocolate Chip Muffins. I read the reviews and altered the recipe by using 1 cup of whole milk. 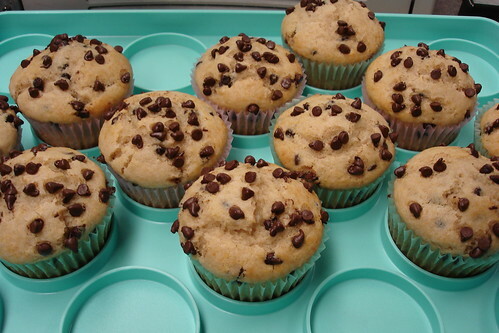 Also, I placed ½ cup of the chips in the batter and used the remaining ¼ cup to place on top each cupcake. A quick mix...pop into the oven...and instant muffins! I carried these to work in my AWESOME brand-new cupcake carrier that I received from Racheal and Lee for my birthday! Isn’t it totally cute? 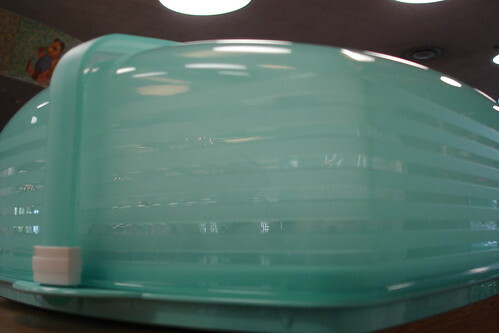 I love the color and it holds 18 cupcakes. The rings around the cupcakes are low and that is fantastic! You can very easily lift out your cupcake/muffin. Also, the other side is flat so you can carry around a 9 x 13 cake! How versatile! How pretty! How great! Thank you Racheal and Lee! !